by Lime, Harry, Gordon, Steven E.
Lime, Harry, Gordon, Steven E.
Peter Parker is lucky to have good friends in his life. And they are lucky to be friends with a hero like Spider-Man. 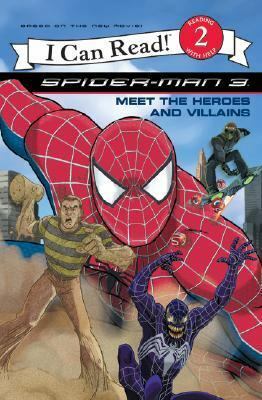 As long as there are villains out there, the world will always need its heroes.Lime, Harry is the author of 'Spider-man 3 Spider-man Versus Sandman', published 2007 under ISBN 9780060837211 and ISBN 0060837217. Loading marketplace prices 62 copies from $0.01 How does the rental process work?